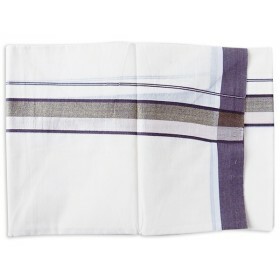 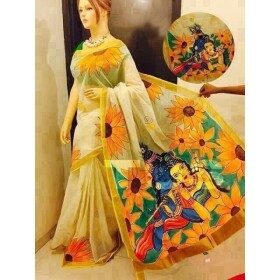 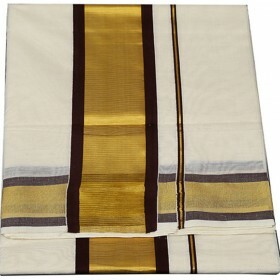 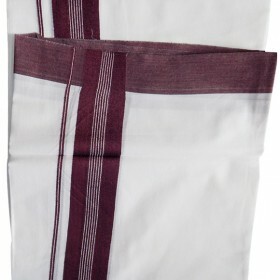 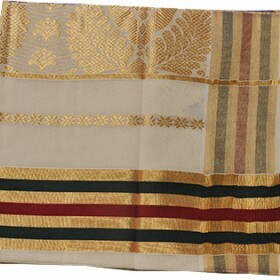 It is an elegant Cream colour Kerala kasavu saree with blue patch design from Malabar shopping colle.. 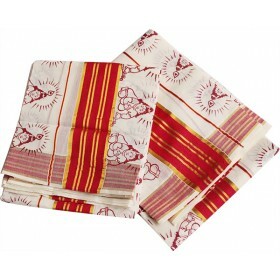 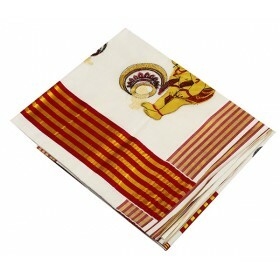 Traditional big border kasavu saree designed with pure cotton fabric The floral mambazham design is .. 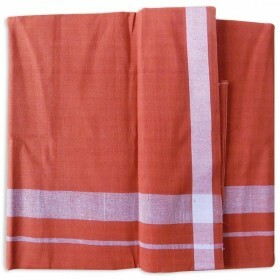 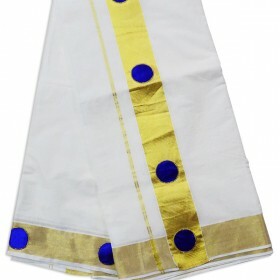 This is an amazing Kerala kasavu pattu pavadai for little pretty girls with off white color having orange net border along with golden kasavu on the bottom of pavadai, top and on its hand. 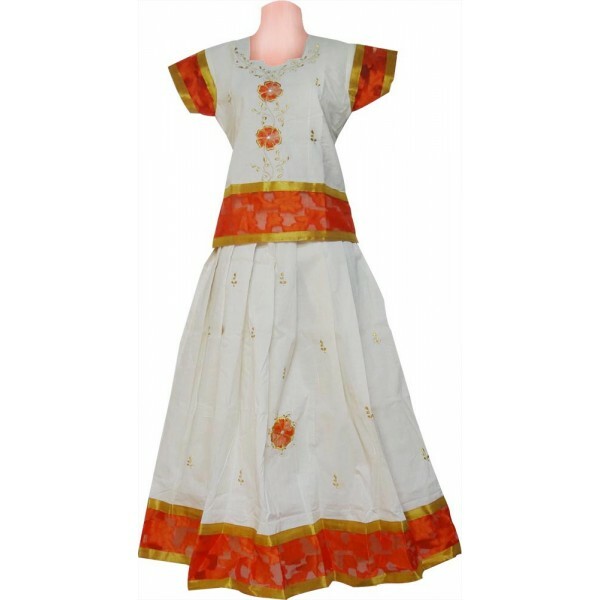 On neck it has hanging floral golden thread design with floral net patch work is the main attraction which makes it more beauty. 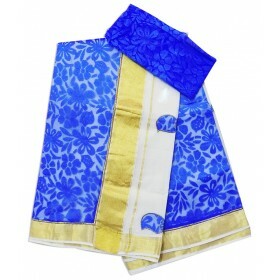 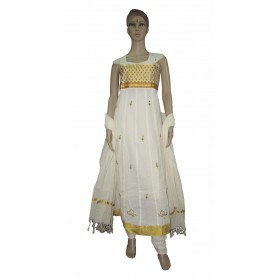 Pavadai have golden thread work floral design and floral net patch work to give a royal look. 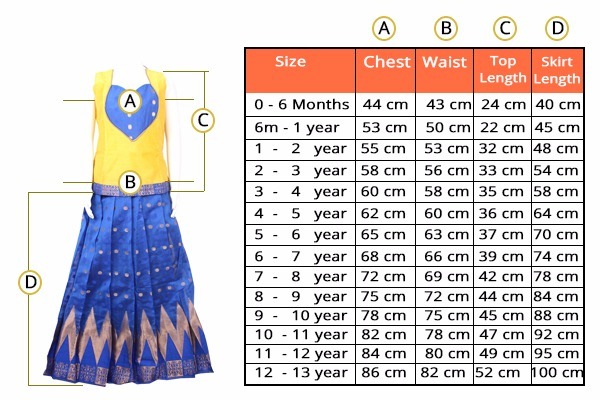 With perfectly matching jewel your children looks like an angle. 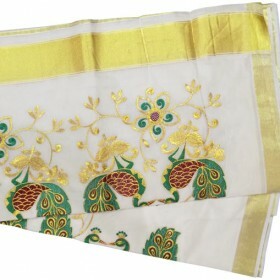 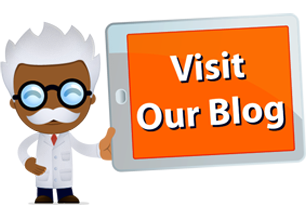 You can present this as a best gift to your children’s to show your care.